At Creative Fence, our past customers are our best advertising. Head over to our featured projects section to view our portfolio of work. Or you can take their word for it by reading some of our testimonials. Have you been contemplating ways to add beauty and value to your home? A decorative fence is a great way to increase the value of your home. It adds security and a sense of style. We will be happy to set up a design consultation. There is no cost for a consulation and no obligation to buy. Give us a call today you'll be glad you did! Welcome to Creative Fence, where perfection is our business. Creative Fence has been providing quality fencing products and installation services to the Lehigh Valley for over 15 years. You can be confident that when you hire us you will get a quality job that is built to the highest of standards. How can we guarentee this? It's simple. Creative Fence is owner operated and his eye for perfection shows in every job we do. We carry a vast array of products ranging from vinyl and aluminum to many types of wood fencing. Head over to our products section to view our large selection of state-of-the-art materials. Make sure you also check out our featured projects section where you can see our portfolio of past projects. Our many styles and choices will add value and compliment your home. So go ahead and make your neighbor envious today, we won't fault you if you do. When you need a reliable fencing contractor with a an eye for detail gives us a call. 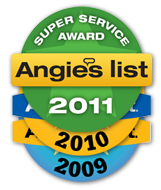 We will strive to exceed our your expectations. Our design consulations are free and there is no obligation to purchase from us. 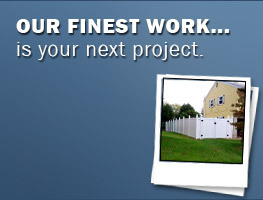 At Creative Fence we are confident you will see that perfection is our business. Copyright © Creative Fence 2010. All Rights Reserved.